India has the second largest road network in the world. 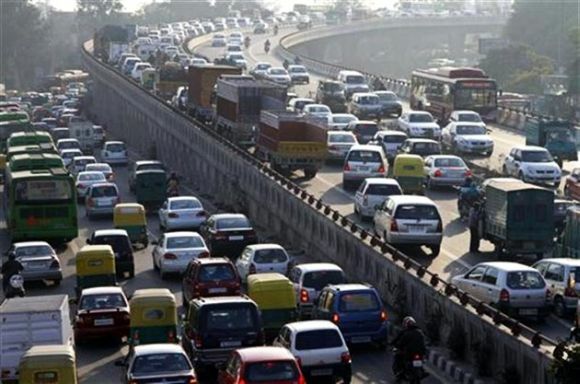 There are about one billion motorised vehicles in the world, of which 20 million are in India. 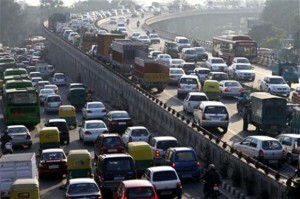 Globally, 14,00,000 people die in road traffic crashes every year, of which, 1,40,000 happen on Indian roads. While India accounts for only 2 per cent of motorised vehicles around the world, our share of traffic fatalities is 10 per cent, making Indian roads the most dangerous in the world. At present, road transport and safety in India is governed by the Motor Vehicles Act 1988, which largely oversees regulation and operations of motor vehicles in the country. This Act is devoid of a systematic framework that allows it to address issues regarding road safety and the transport sector in general. The new Road Transport and Safety Bill 2014 is not only a huge improvement from the existing Act, but also presents a radical change from merely regulating the movement of motorised vehicles, to actually safeguarding the interests of all road users and the economy at large. On April 30, various transport operators called for a nationwide strike protesting the new bill. Key criticisms of the bill include the perception of undue favour towards the private sector; centralisation of services would mean that state and regional transport agencies would lose power, and that the steep hike in penalties and fines would increase corruption. Engaging the private sector will help the economy prosper: Each year, India loses up to 3 per cent of its GDP due to road traffic crashes. In 2013 alone, 1,40,000 people died on Indian roads, and another 50,000 were seriously injured, resulting in them leaving the workforce. The logistics industry faces several challenges, including bribes amounting to a total of Rs 22,200 crore a year resulting in delays that cost the national economy Rs 1,130 crore a year. The new bill has the potential to tackle the problem of unsafe roads, and simplify the process of permits thereby reducing corruption and improving the efficiency of freight logistics. The bill proposes streamlining of various processes and regulatory frameworks, which would help in reducing inflation and giving a huge boost to the Indian manufacturing industry – furthering the government’s ‘Make in India’ vision. Take for example, the spare parts market. By introducing conformity certification, spare parts would become cheaper, Additionally, by encouraging new models, retrofitting technology and alternative fuels, the Indian automotive industry would be seen as innovative and globally competitive. Centralisation of services will make processes simpler: A significant hurdle in inter-state travel for ordinary citizens is the complicated processes around vehicle certification, registration, and licensing. This would include registration, insurance, past offences and other information that would lend enhanced transparency to the system. This does not imply that states and regional transport authorities would lose power. What it means is, all these authorities would be unified under a single code and case management system, making processes faster, simpler, and more effective. The bill also proposes a standardised testing system for drivers. A simplified, transparent system for applying and obtaining of licenses would reduce corruption and improve the quality of drivers. A key change is in the eligibility criteria. It proposes high traffic fines and penalties like imprisonment for violation of traffic rules. The new Bill clearly has the right ingredients to reform the road transport sector and effectively address the problem of road safety in the country. Attempts to dilute the powers of these authorities will negatively impact the vision and the benefits of this bill to the general public.